(13.12.2018, 12:13)QueenAllTheWay Wrote: Hello! Thanks for the new update! The issue I had before is finally fixed, but here's another problem I now got. 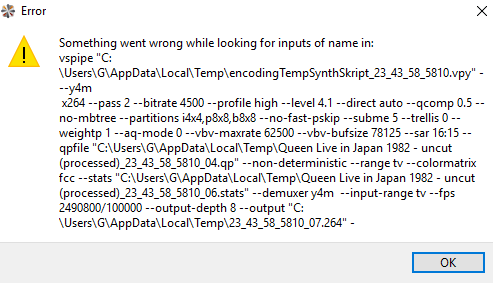 This mainly happens when I want to encode a video. Hi, I have similar problem. This is happening with new version of Hybrid. 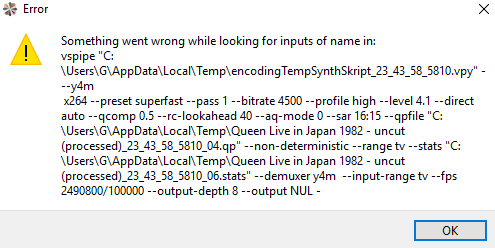 With older version (2018.11.11.1 per example) I don't get this error. same problem. please help me. my problem is like purger's problem. please help me. Send you a link to my latest dev version via PM. Current time: 24.04.2019, 09:56 Powered By MyBB, © 2002-2019 MyBB Group.